What is HIPAA Compliant Messaging? HIPAA compliant messaging is a means of secure communication by which healthcare organizations and other associated businesses can safeguard electronic protected health information (ePHI) while facilitating an open flow of sensitive patient information between authorized users. Platforms and apps for secure messaging meet healthcare industry standards to ensure the integrity of ePHI during the secure communication of sensitive patient information and provide a secure alternative to “traditional” text messaging. Due to the features included in the secure messaging solution, system administrators can monitor access to encrypted ePHI and any transmission of sensitive patient information in compliance with HIPAA regulations. Many healthcare facilities use HIPAA compliant messaging to keep communications safe and comply with industry regulations; and, in addition to complying with the industry regulations, apps for secure messaging have been found to enhance employee workflows, increase productivity and raise the standard of patient healthcare. How do Apps for Secure Text Messaging Work? Apps for secure text messaging work by allowing access to a software-as-a-service “On Demand” platform to send and receive ePHI in a manner compliant with the HIPAA regulations. 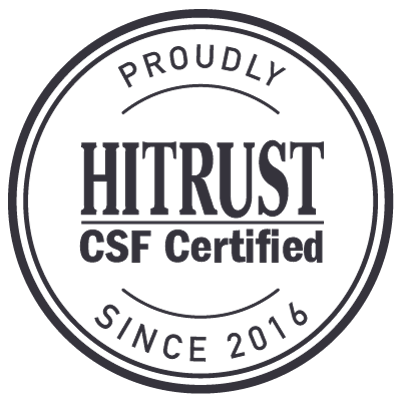 The platform has administrative controls to safeguard the integrity of the ePHI, as well as fulfilling the technical and physical safeguards of the HIPAA Security Rule. When an authorized user wants to communicate sensitive patient information securely, the recipient receives a notification linking to the information, but can only access it after authenticating their identity with a unique username and password. Thereafter the recipient can read the secure message, send replies, and upload attachments such as documents and images. The HIPAA compliant text messaging platform enables multiple parties to be involved in the same discussion to collaborate on a patient’s healthcare, with the result that workflows are streamlined, productivity is increased and costs are reduced. In a healthcare environment, apps for secure text messaging in compliance with HIPAA can also help to improve the standard of healthcare received by patients when physician consults, diagnoses, laboratory results, the administration of treatment and patient discharges can all be accelerated by secure messaging. 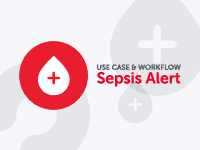 Healthcare professionals can communicate from any desktop computer or mobile device on which apps for secure messaging exist, enabling them to send and receive ePHI “on-the-go” with secure texting. The need for follow-up emails and phone calls is eliminated due to delivery notifications confirming the delivery of secure messages, and read receipts advising the sender of the message when it has been read. Features such as message recall, message lifespan (the ability to assign a pre-determined “life” to a message), and remote wipe help remove the threat of sensitive patient information being compromised if a mobile device is stolen or lost. The integration of apps for secure messaging with a corporate directory allows administrators to quickly manage accessibility settings and authorized users can more easily find one another within their network. The automatically produced audit logs accelerate administrator’s risk management analysis and ensure that organizational policies relating to HIPAA compliant text messaging are adhered to. Each of these features helps to safeguard the integrity of ePHI, streamline workflows, increase productivity and improve the standard of patient healthcare in a cost-effective manner. 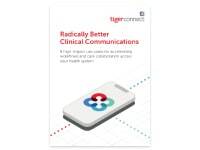 Although many apps for secure text messaging share similar features, not all HIPAA compliant messaging solutions are the same, and we have compiled a white paper – “Top 10 Considerations when Selecting a Secure Messaging Solution” – to help organizations distinguish between TigerConnect’s HIPAA compliant text messaging solution and other products which are on the market. Our “Top 10 Considerations” gives a brief introduction into the regulations for HIPAA compliant messaging, continues by discussing how to evaluate the technical and functional requirements of apps for secure text messaging, and concludes by offering a few criteria that will help you evaluate vendors of apps for secure text messaging in compliance with HIPAA. We suggest considering the resources that a vendor allocates to technology vision – so that their HIPAA compliant text messaging solution can manage modified work practices, improved technology and future legislation – and we recommend that a vendor should be able to demonstrate a positive customer experience. Overall, our “Top 10 Considerations” is an essential guide to ensuring the most appropriate HIPAA compliant messaging solution is chosen for your specific circumstances. What’s New in TigerText’s HIPAA Compliant Text Messaging App? An enhanced message forwarding feature enables colleagues and associates to securely join an existing discussion thread. An “is typing” message now appears when users are writing a response, so that message senders are aware that a reply is on its way. A new “Do Not Disturb” feature allows users to leave bespoke message similar to an “Out of Office” auto-reply with details of alternate contacts. A delivery escalation function sends notifications to alternate SMS and email channels after 2 minutes if an authorized user’s mobile device is out of range of a Wi-Fi or 3G service. TigerText’s multiple inbox facility allows messages from various sources to be accessed from one convenient menu when an authorized user is attached to more than one organization. To find out more about TigerText’s app for secure messaging, you are invited to download and read our white paper – “Top 10 Considerations when Selecting a Secure Messaging Solution” – and thereafter contact us with any questions you may have about HIPAA compliant text messaging solutions or TigerText’s app for secure text messaging. Alternatively, you are welcome to read our case studies, which provide further illustrations of how TigerText’s apps for secure text messaging can enhance employee workflows, increase productivity and raise the standard of patient healthcare, or request a free demo of TigerConnect’s HIPAA compliant text messaging solution in action. 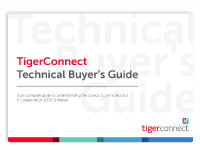 TigerConnect provides you with the tools, services and products to facilitate HIPAA compliance. Discover how.